Ismelda - dwarf henchwoman of Bunbery. Brock - thief, new-found friend / henchman of Slippy. Rocco - cleric, follower of the god of the underworld. Returning to the hole in the ancient oak tree which they'd discovered on a foray into the magical wood, the party descended once more into the underworld. Ismelda tied a rope around one of the oak's roots, allowing them to climb down the shaft which led underground. They decided to leave the rope hanging there for a quick exit. Lighting two torches, and spending some moments bickering about who should go first, last and in the middle of the marching order (the party, as you may note, is slightly on the weak side, lacking any fighters), they set off down the twisting sandy floored tunnel. Bunbery remembered some of the sights and routes they'd taken last time, and suggested a return to the room he had dubbed 'the hall of kings'. On the way there they passed once again through the room with the animated tree root faces. Being somewhat better off this time around, the party accepted the roots' repeated offer of information in exchange for gold. 15gp were handed over, and three insights were given into the contents of the dungeon. The PCs were unsure as to the value of these insights, and in the end an angered Libelle started hitting the root faces with her burning torch, causing them to swiftly disappear, and an ominous rumbling to occur. Taking stock of their options again after the encounter with the root faces, they decided to forgo the hall of kings in favour of exploring a small winding tunnel which they'd previously overlooked. The walls of the tunnel remained tangled with roots and glowing moss, but the sandy floor soon became muddy underfoot as they came across three deep alcoves. Ismelda, who was leading the way with a torch in hand, probed into each alcove in turn, discovering: an array of nice woollen cloaks (one with a key in the pocket, which she took), a portrait of gnome-like creature, a hat stand with several red felt berets on it. Slippy took one of the berets, and the party continued, somewhat bemused as to what all this homely stuff was doing here. Next they came to a small round low-roofed chamber with a cobbled floor and a wooden table and chair. On the table was a small brass bell and a plaque reading "PLEASE RING". This added to the party's bewilderment, and provoked a lengthy discussion as to what kind of creature would leave such a sign, and whether evil dungeon monsters might make a ruse of being friendly. They could not come to any kind of agreement of what to do, so finally Slippy rang the bell. Shortly the sound of footsteps came from the passage to the north, and soon a tall faun-like creature emerged, with the head and legs of a ram, and dressed in a smart waistcoat and cape. Introducing himself as Ramius, he invited the PCs to join him for tea, an offer which Slippy gladly accepted, once again leading the group into a course of action they were not all entirely happy with. Ramius led them through a chamber with a couple of comfy chairs and a fully stocked bookshelf, and into a cosy underground kitchen, where a kettle was boiling on the stove. Bunbery and Ismelda decided to linger in the room with the books, hoping to get some kind of idea as to who this fellow was. They browsed through the books, but couldn't understand a single letter. Bunbery also attempted to detect any magical presence in the books, but found none. Meanwhile Ramius and the others had settled down to a cup of steaming green herbal tea. Seeing that Ramius was drinking the same brew, Slippy drank up straight away, and Brock sipped from his cup. The others, however, declined their host's offer of tea, and once again declined his offer of crackers shortly afterwards. Ismelda and Bunbery joined the group after their investigation of the bookshelf, and asked Ramius about what language the books were written in. He told them that it was an old forest language (Xilardian, which none of them had ever heard of), and proceeded to sing them a lilting song in said tongue. At this point the drugged tea began to have its effect. Slippy began sliding onto the floor, and Brock had to be rather severely bashed around the head to make him wake up from his stupor. A confrontation began, with Bunbery accusing Ramius of trying to poison them and telling him to begone and leave them in peace. Ramius in turn began to get very agitated, and requested that they leave him in peace, as they were in his kitchen. With the necromancer's increasing threats, the faun creature started backing away, slinking off down another passageway, but returning only moments later with four large ram's skulls floating alongside him. At Ramius' command, the skulls hurtled towards the party to attack, and a furious battle began in the small cosy kitchen. Libelle had her brains almost bashed out by one of the flying ram skulls, and was only just saved by the healing magic of Rocco. Slippy remained curled up fast asleep under the table, while Brock dived into the shadows in a corner, hoping to get an opportunity to make a stealth attack. Ismelda fought off Ramius, defending her master Bunbery, who was readying a spell. The necromancer, having surmised that the skulls were some kind of undead, tried out his newly acquired spell command undead (the reverse form of turn undead). His surmise was, luckily for the party, correct, and the tide of the battle turned as the skulls suddenly stopped in mid-air and then turned on their master, battering the faun to death. After their victory over Ramius the party ventured into the last room of his inhabitance, from whence the ram skulls had come. They discovered a large collection of bones and skulls, some obviously human, and a large wooden chest, which Ismelda opened with her crowbar. Inside they were confronted with the grisly sight of a freshly butchered human corpse. Ramius' lifestyle had become somewhat elucidated. They did, however, also discover a pouch in a corner of the chest, containing some coins and a very nice looking gem, which Ismelda pocketed for herself before any of the others had seen it (these Chaotic characters, I don't know! ;). Deciding to make a day of it for the time being (and our evening in real-time coming to a close), the party retreated to count their spoils in the peace of the local tavern. Here are a few more mid- to high-level elementalist spells dealing with travel to the elemental planes, an obvious area of magic for an elementalist which I'd not previously thought about. This spell grants the target the ability to survive the natural environmental hazards of one of the elemental planes. The target gains the ability to breathe and to move freely through the matter of the chosen plane, and is unharmed by any pervasive damaging effects such as the omnipresent flames on the plane of fire. This spell grants protection from the harmful effects of one elemental plane, in the same manner as the 5th level spell elemental plane protection. All creatures remaining within the area of effect are protected. This spell works in the same manner as the 9th level magic-user spell gate, but can only be used to contact powerful beings on the elemental planes. This spell opens a connection from the prime material plane directly to one of the elemental planes as chosen by the caster. The portal is 10' in diameter, and allows creatures to travel both ways -- the caster and allies may use it to enter the elemental plane, but it also allows elemental creatures to enter the material world. The portal can only be created in a location where there is an abundance of the appropriate element -- a volcano, an ocean, a mountain top, etc. Similar to the 8th level spell elemental portal, this spell allows the caster either to open a permanent portal to an elemental plane or to open a temporary portal in a location without an abundance of the appropriate element. In the latter case the portal lasts for 1 hour per caster level. This dangerous spell allows an elementalist to unleash a powerful and violent elemental being which embodies the wild and destructive nature of the elements. The spell requires an 8 hour ritual to cast, including the sacrifice of 1000gp worth of rare materials, and can only be cast in the presence of a large quantity of the appropriate element -- a huge fire or volcano, a hurricane, a waterfall or raging ocean, a barren mountain side. The summoned being has the qualities of a normal 16HD elemental, with the following differences: 32HD, AC -4, can only be damaged by +3 or greater enchanted weapons, 6d8 damage, double movement rate. These creatures are 100' tall, non-intelligent and incredibly violent. The summoned elemental cannot be controlled by the caster or by any spell or magic item, and has the sole aim of causing as much destruction as possible during the duration of its summoning. Wise casters seldom use this spell, and those who do ensure that they have some readily available means of escaping from the path of the summoned creature. Even if the caster avoids the creature's wrath, casting this spell is extremely taxing, and there is a 5% chance that the caster's Constitution will be permanently reduced by 1d4 points. Here are a few more miscellaneous elementalist spells which have been clattering around in my mind. They're beginning to branch out into more obscure regions of magic, now that I've got the basic summoning spells worked out. The spell list is looking pretty solid now (except at 8th level, which is still a bit thin), and I'd be happy to let someone use it in the game. Here's the updated list, including all the new spells I've created so far. With this powerful spell an elementalist can conjure a large quantity of a bizarre substance possessing the qualities of both earth and air. This amalgam can be formed into any shape the caster desires, and is of a volume up to 10 cubic feet per caster level. The caster has complete control over the amalgam for the spell's duration, being able to determine its properties from any of the following: solid or substanceless, heavy or weightless, breatheable or suffocating. The amalgam's form and properties can be altered incredibly quickly with a mere thought from the caster, and he is able to move it at will up to 60' per round. At the end of the spell's duration the amalgam disappears instantly. Similar to the spell amalgam of earth and air, this spell creates a like quantity of a substance which possesses the qualities of both fire and water. The properties which the amalgam can exhibit include any of the following: cold or hot, smothering or burning, falling or rising. The amalgam can cause up to 3d6 hit points damage per round to creatures inside its volume, due to extreme cold, heat or burning. This spell allows an elementalist to awaken the latent elemental spirits which inhabit natural features on the prime material plane such as lakes, rivers, great vistas, mountains and volcanoes. The summoned elemental is friendly to the caster, who is able to converse with it for the duration of the spell. The elemental cannot serve the caster in any way except to divulge information the caster desires to know which is within its feasible sphere of knowledge. This spell weaves a subtle enchantment into the natural sounds of the sea, rivers, a fire or the wind. A source of such sound must already be present, the spell cannot artificially create or enhance it. The enchanted sound takes on a hypnotic song-like quality which can affect creatures in range in one of two possible ways (chosen by the caster upon casting the spell). Firstly the spell can be used to lull all creatures failing a saving throw versus spells into a state of drowsiness and unalertness. Alternatively the spell can be used to bring about a soothing and refreshing sleep in willing targets, allowing them to heal 1hp of damage after a full night's rest. This spell allows the caster to conjure forth a variety of creatures from the elemental planes. At 11th level the caster can choose to summon a djinni, sea serpent or xorn. At 13th level he may alternatively summon a flame salamander. At 15th level he may summon a frost salamander, and at 17th level an efreeti. The summoned creature is bound to serve the caster unerringly for the duration. On my recent return to D&D in the form of Labyrinth Lord, I've found the place of the cleric in an adventuring party somewhat questionable. So much so that in the first session I declared the class off limit -- instead allowing the PCs to purchase healing potions and scrolls of undead turning to replace the cleric's traditional abilities. The issue that led me to that decision was one of a perceived philosophical difference between the cleric and the other classes. The cleric, as described in the rules, is a holy warrior and crusader against the undead -- a highly moral character. On the other hand, at least as far as my games are concerned, the other classes have no moral imperative whatsoever. Their only unifying feature is that they are 'adventurers' out for gold (= XP). So I saw this disparity, couldn't think of a way to resolve it, and concluded that the cleric could be replaced. However, after our first session I spotted a rather large flaw in my plan. The PCs had all stocked up with healing potions, as many as they could afford with their 3d8 x 10gp starting money, and they'd got through quite a few of them in the course of the adventure. Those who made it out of the dungeon were now hauling a significant sum of treasure, and, of course, their reaction was: first stop more healing potions! This isn't something I'd anticipated at all, and is probably something that takes a player's point of view. The trouble is though, with healing potions costing 50gp (they have to be cheap otherwise 1st level characters, who are the ones who really need them, can't afford them), and with most characters needing to amass 2,000 or more gp to reach 2nd level (give or take a few hundred for creatures defeated) they'll be rolling in healing potions before the second session is out! This equates to basically infinite hit points, which isn't quite the vibe I was going for... Especially not at 1st level. So I concluded that the cleric had to return, somehow. But how to make a holy man fit in with the bunch of chaotic rogues the PCs had rolled up for characters? I considered several possibilities, from a complete re-skinning of the class as a new race (perhaps some kind of faun) naturally blessed with healing magic, to giving magic-users access to healing spells. Neither of those options felt quite right however. The healing race would become essential in any party, and I want to keep it so that no demi-humans are essential, however beneficial their presence may be. And the healing wizards option would most likely relegate the magic-user to the most boring class -- a walking healing machine with no other abilities (what 1st level fighter would let his wizard companion memorize any spells except cure light wounds?). That sort of thing. Such gods both solve the moral issue, and sound like they'd be a lot of fun! Slippy - halfling (rat-man) endebted to serve Min for 99 years. Esalai - elf (fey), henchwoman of Rivain. Esalai almost instantly became known as 'Princess' as none of us could remember her real name. Bunbery - magic-user (necromancer) with an undead rat familiar. As described in the previous post, the party discovered a shaft leading underground from a huge oak tree with a split in it. They climbed down, some daring to use the tree roots as a ladder, and Bunbery the necromancer taking the more secure option of using a rope to descend. At the bottom of the 20' shaft was a sandy tunnel winding into the darkness. The tunnel's walls were riddled with tree roots and moss, and as they lit a torch and passed by, Princess noticed that the moss was crawling with insects and worms. She pointed this out, and Bunbery immediately uttered a few arcane words and summoned a centipede to do his bidding. They soon came to a small round chamber where glowing moss covered the tree roots. As they stood there trying to work out which of the continuing tunnels to take, the mossy roots began to move around. Bunbery sent his servile centipede to investigate, and it was crushed in the forming jaws of a tree root face. Two faces formed out of the roots, and offered the PCs information if they would give them gold in return. Having nary a copper bewteen them, the PCs had to decline the offer, and continued on their way, heading south into a large cavern. Somewhat daunted by the vastness of the cavern, they turned off into a passage they discovered. As the group filed into the passageway, the last members (Min and Slippy) were jumped by a black shape dropping opportunistically on them from above - a giant crab spider. Both Min and Slippy were very badly hurt by the spider's attack, and used up two of their precious healing potions. The beast was slain by the sword of Rivain, who was then dubbed "the spider slayer". After fighting the spider they re-entered the passage, and found a strange archway carved with skulls through which they'd have to pass, and, rather ominously, a warrior's skeleton lying halfway through the arch. Obviously wary, they began to investigate. After some ineffective probing, Slippy was ordered by his master to walk through the arch, and only narrowly avoided getting sliced in half by a scything blade trap. A couple of the party then jumped through the archway, avoiding treading on the assumed pressure plate, until Ismelda had the clever idea of jamming a bone into the slot where the blade had come from, preventing it from re-emerging. They next found themselves in a long hall with six kingly statues, and a choice of six doors to follow. Choosing to investigate a door which had an arrow chalked on the floor next to it, they discovered a corridor with walls covered in a strange writhing thorny black ivy. The corpse of a dead adventurer laying on the ground yielded a small amount of coins and a note reading "could the river ghouls be tricked out of their treasure?". Unsure of whether to continue, as the ivy looked somewhat threatening, the party dallied for a while in the passage, allowing a lurking troglodyte to sneak up on them from behind. Only Princess' keen elven ears gave the game away and alerted them to the creature's presence. They spoke to the troglodyte, attempting to get some information out of it. It in the meantime had eyes on the smaller members of the party -- it evidently had a taste for flesh, and in the end could hold back its hunger no longer and lunged forward and grabbed Min the dwarf, who had just offered it some gold coins in exchange for help. The dwarf fought back with his pickaxe as the troglodyte rushed madly towards a nearby underground river. The party raced after, wounding the monster with missile attacks, but were too late to prevent it diving desperately into the river with the armour clad dwarf. Min was seen no more. They soon found the troglodyte's lair, and two more of the creatures hiding in a secret room full of fish skeletons and junk. Combat ensued, with Princess being savaged by one of the creatures, before they were dispatched by the joint efforts of the group. They cremated the elf's body then and there, and Ismelda discovered a chest of coins amongst the troglodyte's junk, which she cleverly opened with her crowbar, thus avoiding the poisoned needle which sprung from the mechanism. The party then discussed their next steps, torn between further exploration and retreating with their significant haul of treasure. They agreed to just investigate one more room and a strange red rug which they'd passed earlier, and then to leave. Complications followed. The rash Slippy stepped onto the rug and vanished into thin air. Rivain followed him, also vanishing, while the more cautious Bunbery and Ismelda avoided the rug, which Bunbery identified as having some kind of dimensional magic (presumably a teleporter), and looked into the room they'd agreed to check out. The room contained an odd mystery -- a collection of glass jars containing the corpses of tiny inch-long people, a scroll which Bunbery identified as containing the magic-user spell reduce, and a page from a book written in the fey tongue, which neither could read. Seeing no sign of the others returning, and being chaotic in alignment, the necromancer and his servant returned to the entrance and left the dungeon. They did however have the decency to wait in the forest in case their companions managed to find their way out. Slippy and Ravain, in the meantime, teleported into the deep darkness of a huge cavern, and both, fortunately, blessed with infravision, had no idea where they were. They explored the cavern, finding a sequence of huge pillars, and then a series of carved rooms. Entering a corridor, Slippy smelled food wafting from somewhere, and his nose led him south. 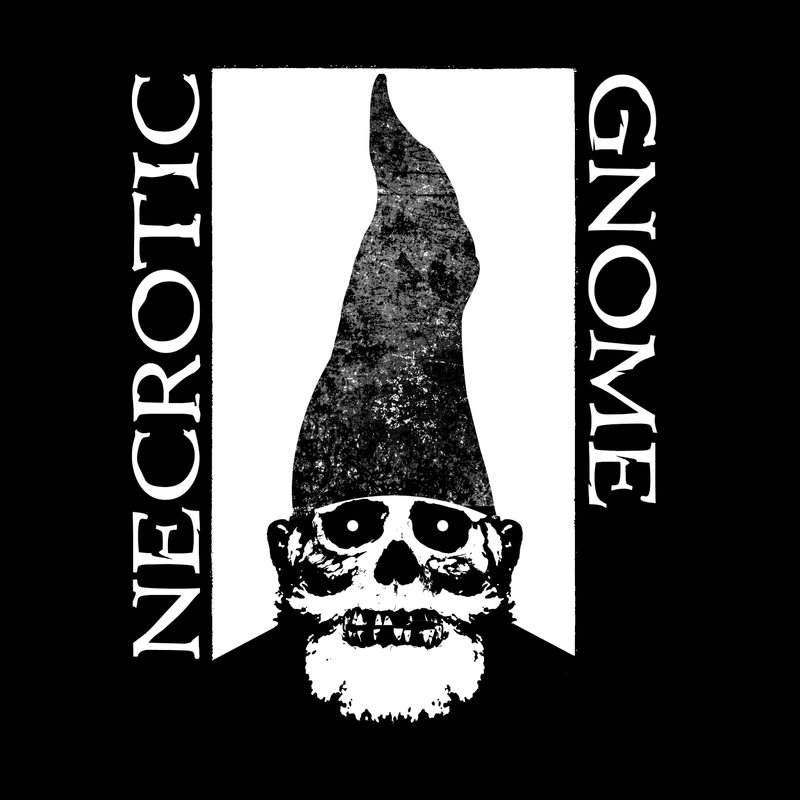 He knocked on a door and was greeted by a small woody gnome-like creature wearing a pointy red hat. The creature turned out to be rather friendly, and even invited the halfling to join him and his family for tea, but he declined, not 100% sure if he trusted the creature. Nonetheless, the gnome gave him good directions to the way out, which they promptly followed. On the way they came across an odd phantasmal battle, between a warrior and a troll, which the heroic Rivain couldn't help but get involved in. He defeated the troll, with the help of the spectral warrior, who looked flabbergasted at his eternal battle finally being brought to an end. The warrior gifted them with a clue as he parted "a great treasure lies hidden over the water". By the way, I forgot to mention in the last post what a brilliant idea the inclusion of an area for a "character sketch" is on the character sheet! We got some works of sheer genius -- Slippy the halfling tipping his bowler hat, and Ismelda the dwarf with a saucepan on her head! So today, at last, I got to play Labyrinth Lord! I've been absolutely gagging to give it a go since getting the books a couple of months ago, and was excited to be able to arrange a session for this afternoon. Of course, though it's the first time I've played Labyrinth Lord, I've played copious hours of basic D&D as a kid, so it's hardly new territory -- rather a return to and retreading of old territory. And I'm delighted to say it was a great success, everyone had a lot of fun, and I was revelling in the joyous simplicity and openness of the rules - no 'feats' or 'edges' (as they're known in Savage Worlds)! No copious lists of skills! (None of the PCs ended up being thieves, so there really wasn't a single skill on anyone's character sheet!) Just good, old fashioned, 3d6 ability scores in order, roll for hit points, buy equipment and off we go. The adventure I ran was also similarly simplistic and old-school in style. The introduction went something like this: "You've been staying in a town which lies nearby to a magical wood. You've heard stories of people going into the wood and getting lost, so you know there's lots of weird and dangerous creatures living there. You've also heard legends of a great army in ancient times getting lost in the wood, and a king's hoard of treasure getting lost along with them, so you know there are riches to be found, for the brave and cunning. You journey into the wood on a sunny day, and after a couple of hours you come to a clearing with a huge old oak tree in the middle. Looking at the tree you notice that it is split down the middle, revealing an interior space which you could step into. Looking into the space within the tree you see a shaft going straight down into the earth with tree roots forming a ladder of sorts. What do you do?" As you can imagine, they ventured into the hole, and discovered a strange subterranean world filled with all sorts of weird, wonderful and deadly things. Rather than describe the adventure itself, I thought firstly I'd write a few thoughts on the game-play and the rules, starting with character creation. As there were only three players, I let them roll two characters each -- one as their main character, and one as a henchman of some kind. Slippy - halfling (who are rat-people in this vaguely imagined campaign world), endebted to serve the greedy Min for 99 years (far longer than the halfling's expected lifespan). Rivain - elf (fey), rolled with that rarest of treasures - a natural 18 Strength. Bamberry - magic-user (necromancer) with an undead rat familiar. Ismelda - dwarf henchwoman of Bamberry. As I'd disallowed the cleric class (somehow I'm not that keen on the idea of clerics as adventurers), I let them buy healing potions for 50gp, and scrolls of undead turning for 25gp. The party had quite a few of these items between them, and though the undead turning scrolls didn't see any use (yet), the healing potions were life savers, literally. I allowed the healing potions to be used to save anyone at 0 or -1 hit points, if they could be reached by a companion within a couple of rounds. This actually happened twice during this session, so I was glad I'd invented that rule -- I hoped the first session wouldn't be too off-putting and end in a TPK! In the end four out of the six characters made it out of the dungeon -- Min the dwarf met his doom falling into an underground river while grappling with a troglodyte (though the dwarf's final fate is as yet unknown to the other PCs), and Princess was slaughtered by another troglodyte in an ensuing battle. That was a shame, they were both cool characters. 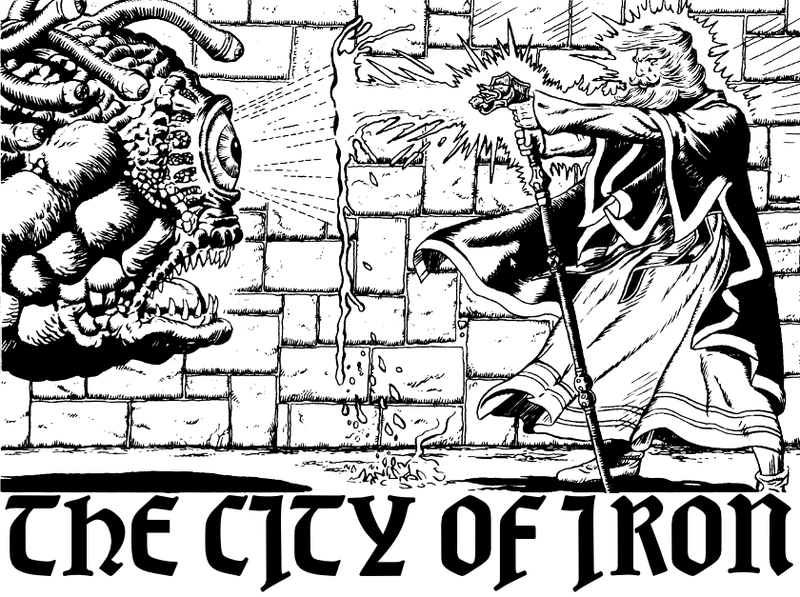 One thing which I really especially enjoyed, which is of course one of the main "selling points" of old-school RPGs, was the freedom of description and action provided by the very loose framework of rules. Rather than dry rolling of skill checks, traps were deduced and disarmed by trial and error -- throwing dead bodies onto pressure plates, wedging bones in cracks to prevent blades flying out, and so on. Each round of combat began with a simple "what do you do"? And of course the answers given were purely descriptive, never touching on the meta-tactics level of more modern RPGs with tons of mechanics-based combat 'options' -- "I move 4 squares then I use my Cleave feat", or whatever. I've been getting a bit fed up of this in Savage Worlds recently, which is a system I'm quite fond of, but still has too much of this meta-level rules complexity for my increasingly old-school tastes. In the end though the remaining PCs escaped the dungeon with a nice selection of treasure, many areas left unexplored, and a couple of hints at what dangers and treasures lie yet in wait. What more can one ask for? We definitely plan to play again, and see how they fare on a second journey into the magical wood. Following on from the elementines, here are the spells to summon them, in addition to a few more low level elementalist spells. The elementalist spell list is rounding out quite nicely now, at the low levels especially. This spell causes summoned elementines to return to their plane of origin. The number of creatures affected depends on the caster's level - up to 1 HD per level. The elementalist conjures forth a ball of flickering flame, which sheds light but not heat. The ball of flame can be manifested around the caster's hand, around an object he holds (such as a staff), or floating above his shoulder. The flame produced cannot be used to ignite other objects, and cannot cause damage. However at any point during the spell's duration, the caster may cause the flame to flare suddenly, dazzling any creatures within 30' who fail a saving throw versus spells. Dazzled creatures suffer -2 to attack rolls for 2 rounds. The caster is not affected by the flare, but his allies may be, unless warned to shut their eyes. After the firelight flares it disappears and the spell ends. The creature touched gains the ability to go without oxygen for the duration of the spell. This can grant water-breathing creatures the ability to function in an air medium, and air-breathing creatures to function underwater, for example. One creature per caster level can be affected. This spell functions in the same way as summon lesser elementine, but conjures a greater elementine of a type chosen by the caster. This spell summons a lesser elementine of a type chosen by the caster, which appears within range. The caster has complete control of the elementine for the duration of the spell, and can command it to attack nearby foes or perform other tasks within its capabilities. This spell creates an amplified tidal force which enables the caster to influence the movements of bodies of water and water-based creatures (including most humanoids and animals). Each round the caster must choose which direction the tidal force will push. All affected creatures in range must make a saving throw versus spells or be pushed 20' in the chosen direction. The spell does not have the force to lift creatures off the ground or to prevent them from falling. So, having the standard elementals, the "para"-elementals, and the expanded selection of spells to summon and control them all out of the way, the next step in my building of an elementalist summoner class is the creation of some new monsters! The existing elementals are all in the mid- to high-level range (8 to 16 HD), with the low-level end of the spectrum being pretty much devoid of summonable elemental creatures. Part of my vision for the elementalist class is that they should be able to summon elemental creatures to their aid even at 1st level, so clearly some weak but interesting new creatures are needed in the 1 to 4 HD range. I've termed these lesser elementals "elementines". The four classical elementines are presented below, and spells to summon and control them will be coming soon. You may notice the connection between the fire elementine and the AD&D 2nd edition flaming sphere spell (which doesn't exist in Labyrinth Lord). Those are the lines I was thinking along when developing the elementines. Elementines are semi-intelligent beings made of pure elemental matter of one kind or another. They are native to the elemental planes, but can be summoned by certain spells. Elementines can only be harmed by magic and magical weapons. There are two different power levels of elementines, and the type present will be determined by the spell used to summon them. Lesser elementines have AC 4, HD 1 and are generally around 2' in diameter, whereas greater elementines have AC 2, HD 3 and are around 5' in diameter. Fire elementines appear as a sphere of flame. The creature attacks simply by touching an opponent, causing damage and the ignition of flammable materials. Air elementines are formed of powerful wind vortices, and are usually only visible by the dust which they stir up as they move. They 'attack' foes by surrounding them with their chaotic air currents, not causing any damage but potentially distracting and confusing the target. A creature successfully attacked by an air elementine suffers -2 to its attacks due to the distraction, and cannot cast spells or use missile weapons. These effects last for one round. A creature attacked by a greater air elementine must also make a save versus paralysis or be stunned for 1d4 rounds. Earth elementines can only manifest within a large body of stone or earth - usually the ground. They can move within this earth medium without being noticed (except by detect magic), and attack by disrupting the ground beneath an opponent's feet. The attack does not cause any damage, but the target is usually knocked over and is stunned for one round. Attacks by greater earth elementines cause the target to be stunned for 1 to 3 rounds. Water elementines appear as a spherical or snake-like formation in a body of water, and can only be summoned where a sufficient quantity of water exists - at least a small pool. They cannot leave the body of water from which they are formed. They attack by overwhelming opponents, causing damage by drowning. Creatures which can breathe water are unaffected by a water elementine's attacks, but fire-based creatures suffer double damage. Continuing my work on an elementalist class for Labyrinth Lord, here are some mid-level summoning spells. These spells form the basic tools for an elementalist summoner -- they don't have any particularly exotic effects, but I want to get the foundations laid before moving on to the more unusual spells. This spell causes summoned elementals to return to their plane of origin. A single elemental, of any number of Hit Dice, is affected. This spell has two possible effects, chosen by the caster at the moment he casts the spell. Firstly it may be used to take control of an elemental of up to 8HD within 120'. A free-willed elemental is allowed a saving throw versus spells to resist, but if it fails it must obey the caster's commands unfailingly for the spell's duration. If the targetted elemental is already under the control of another wizard (either by use of this spell, or as the result of a summoning), there is a base 50% chance that the caster can gain control of it. The chance of success is modified by 5% per level difference between the caster and the controlling wizard. Alternatively, the spell may be used to augment a subsequent casting of summon elemental I, cast within the duration of 1 turn per level. In this case the duration of the summoning is reduced to the remaining duration of this spell, but the elemental can be controlled without concentration, and without any risk of it turning on the caster. This spell works in the same way as command elemental I, but can either be used to gain control of an elemental of up to 12HD, or to augment a casting of summon elemental II. This spell works in the same way as command elemental I, but can either be used to gain control of an elemental of up to 16HD, or to augment a casting of summon elemental III. Similar to the 3rd level magic-user spell dispel magic, this spell enables an elementalist to cancel ongoing elemental-based magical effects. When memorizing this spell the caster must choose which of the four primary elements (fire, air, earth, water) will be affected. Only magic of the chosen element may be dispelled, but in all other respects this spell functions in the same manner as dispel magic. This spell functions in the same way as the 5th level magic-user spell conjure elemental, but summons an elemental of the weakest type - with 8HD. In addition to the standard fire, air, earth and water elementals, elementalists are also able to summon a variety of alternative elementals using this spell. This spell functions in the same way as the 3rd level summon elemental I spell, but summons an elemental of the middle type - with 12HD. This spell functions in the same way as the 3rd level summon elemental I spell, but summons an elemental of the greatest type - with 16HD. I've been thinking recently about a slightly different way of handling deities in a campaign, moving a step away from the prototypical "god of order" ,"goddess of healing", "god of the sea" type pantheons which seem typical in fantasy games. My thoughts were partly inspired by James M's Petty Gods project. He mentioned at some point that he envisages the petty gods as being of about the same power as the arch-devils and demon lords in AD&D -- awesomely powerful compared to average mortals, but certainly not invulnerable to a well-prepared party of high-level adventurers. I like this image of gods, as awe inspiring and yet still fallible, and very far from omnipotent. I was also contemplating the role of gods in a fantasy world -- why they want worshippers and why people want to worship them. The answer that came to mind is that 1: gods crave either power (real power in the real world, that is) or idolisation, or both, and 2: they attract followers by promising them a little bit of their power, in a variety of ways (an afterlife, for example, or progression through a religious hierarchy). The promise of an afterlife would be especially appealing if the supposed (or even proven) fate of the faithless was suitably horrible -- eternal limbo or undeath. A third and final factor in my mental deity mix is the old AD&D rule about there being a % chance of a demon appearing when its name is spoken. I find that enormously evocative, and scary, and love the idea of extrapolating that concept to all deities. That'd lead to these powerful supernatural beings having 'true names' (which invoke their power) as well 'common names' or aliases which allow people to discuss them without risking fire and brimstone. As an upside, gods like these aren't so far from mortals, and there'd be tales of great heroes defeating gods, and perhaps of literally being deified themselves. As a specific example, here's a rough idea of the sort of god I'm thinking about. Temple: Shrines to Jaaquai can be found throughout Old Aalia. His temple lies in the city of Sendak. Demands: Jaaquai demands monthly tithes of silver from his followers and the rulers of Sendak, and threatens unending winter if they fail to comply. Promises: The god offers loyal followers the opportunity to serve him in the afterlife in his fathomless and opulent palaces of ice. He also promises protection from the cruel cold of winter. Followers: Devotees of Jaaquai can be recognised by the missing ring finger on their left hand, which is cut off during an initiation rite. Manifestations: At midnight on the winter solstice a gateway opens in the temple of Jaaquai, leading into the god's ice palace. Followers are welcomed within and a great feast is served. Worshippers present gifts to the Cold Prince -- typically jewels and silver. The god chooses slaves from those present, and appoints three priests who will serve as his ministers for the following year. Speaking the god's name: There is a 5% chance of Jaaquai responding when his name is invoked by a mortal. If the god responds, roll 3d6. Devout followers re-roll results of 15 or higher. 3: 1d6 ice devils or winter fey gate in to aid the supplicant. 50% chance of the god himself making an appearance as well. 4: An ice devil or winter fey gates in to aid the supplicant. 5 - 6: The supplicant is granted one use of one of the following spells (whichever is more helpful): resist fire, resist cold, hold person, obscuring mist, wall of ice. 7 - 8: The supplicant is blessed by one of the spells listed above, but is expected to make an offering to the god in return. Treasure worth 2% of the character's XP must be donated within a month at the god's temple. 9 - 11: The supplicant is paralysed with awe for 1d6 rounds. 12 - 13: The supplicant is affected by a slow spell. 14 - 15: An ice storm manifests, centred on the supplicant. 16 - 17: An ice devil or winter fey gates in and attacks the supplicant. 18: 1d6 ice devils or winter fey gate in and attack the supplicant. 50% chance of the god himself manifesting and attacking as well. In my continued development of an elementalist class for Labyrinth Lord, one of the main things that's needed are new elemental creatures which can be summoned. I'm hoping to end up with a full range of elemental creatures, from the lowly to the epic, and a bunch of spells to summon them. First on my mental "to do" list of monsters were elementals of equivalent power to the standard four, but originating from different elemental planes. In addition to the planes composed of the four classical elements (fire, air, earth & water) and the elementals which dwell there, a range of other elemental planes exist which are in turn inhabited by their own unique elementals. A selection of such creatures is given below. The exact nature of the cosmological connection between the classical elemental planes and these new planes is left to the Labyrinth Lord to decide. It could be that they are simply lesser, or lesser-known, elemental planes, or they could alternatively be viewed as sub-planes which are formed where two of the classical elemental planes meet. The choice also exists as to whether the magic-user spell conjure elemental can be used to summon these new creatures, or whether their summoning is only possible by means of a special magic item or obscure new spell. They are described in the same format as the classical elementals, with three different sizes ranging from 8 to 16 Hit Dice. Mud elementals appear as a seething slimy mass of ooze and silt. For every hit die possessed they are 2' in diameter and 1/2' high. They attack by lashing out with sticky waves of goo, attempting to drag victims into their ooze. A target which is successfully hit by one a mud elemental will be pulled into its mass and automatically suffer smothering damage each round. Mud elementals can smother any number of victims, but can only make an attack against one new target per round. A mud elemental's form is completely mutable, allowing it to move through very small spaces such as the gap beneath a door. They are equally at home on land or in water. Frost elementals appear as giant humanoids made of frost and ice, and are 2' high for every hit die possessed. They freeze water on touch - up to 100 square feet per round, up to a depth of 6 inches. When in contact with snow or ice a frost elemental regenerates 1d6 hit points per round. They suffer half damage from cold based attacks, and double damage from fire. Lava elementals appear as giant roughly shaped humanoids made of magma and volcanic rock. They are 2' high for every hit die possessed. Lava elementals are surrounded by a 20' radius area of searing heat - causing metals to heat up. Upon the second round within range, all characters using metallic weapons or armour suffer 1d4 hit points damage. On the 3rd and subsequent rounds in the creature's presence, metal using characters suffer 2d4 hit points damage and others suffer 1d4 hit points damage. Any wooden objects touching a lava elemental burst into flame. Ash elementals appear as a creeping mass of black ash and smoke. For every hit die possessed they are 2' in diameter and 1/2' high. Their attacks cause damage by dessication and choking. Anyone within 20' of an ash elemental must save versus poison or suffer -2 to attack rolls due to the blinding smoke. The touch of an ash elemental is toxic to plants - normal plants wither and die, while plant-like monsters automatically suffer 1d8 hit points damage per round. Steam elementals appear as an amorphous cloud of searing steam approximately 2' in diameter per hit die. They attack by condensing their form and enveloping a target, causing damage by burning. The creature's heat is such that it kills any normal plants or insects it comes into contact with, and causes 1d6 hit points damage to all creatures within 20'. It's available in two versions, one with the spells ordered alphabetically, and one with the traditional by level then alphabetical ordering. Now begging wizards can be choosers! I'd be delighted to hear from anyone who uses any of these spells in their games! Here's the final installment of the sequence of thread & rope themed spells. This spell is cast upon a piece of rope up to 50' long, which rises into the air as if it had been enchanted by the 2nd level rope trick spell. As the rope rises it creates a 5' wide passage through any barriers it encounters, in a similar manner to passwall. The rope can create multiple passages if it encounters multiple barriers on its ascent, but is blocked by metal or materials harder than stone. Each passage can be at most 10' deep. Once the rope has ascended to its full length it hangs down, allowing creatures to climb up through the newly created passages. When the spell's duration ends, or at any time the caster desires, the rope falls and any passages created close once more. This spell brings about the destruction of all types of rope, threads, cords and webbing within range. As the spell is cast all affected cords burst into a blaze of white flame and are destroyed in a single round. The spell affects even magical ropes and webs, unless they have a specific immunity to magical fire. Any creatures in close proximity to the burning cords suffer 1d8 hit points damage. The caster is immune to this damage. Bond bane can be cast with merely a word, making it especially useful for wizards who have been inadvertently bound and are unable to make spell casting gestures. Using this spell the caster can command a rope within range to animate and either tie itself in a knot or untie an existing knot. A knot can be tied at either end of the rope, or at any point along its length. The spell can be used to tie a simple binding knot around a creature's hands or feet, but the target is allowed a saving throw versus spells to evade the rope. Once tied, the knot has no magical properties, and can be untied normally. This spell can be used to prevent a single bound target from escaping by any means. The target must already be bound or entangled in some way, by ropes, cords or webbing. Once the spell is cast the binding becomes enchanted, and actively resists all attempts to free the victim. For the duration of the spell the binding cannot be cut, burned or damaged in any way short of a limited wish or disintegrate spell. The binding can be released at any time the caster desires, immediately cancelling the enchantment. The caster may give a single length of rope the strength, but not the weight, of steel. The spell affects up to a 5' length of rope per level of the caster. This spell creates a powerful ward which prevents magic, attacks and creatures from crossing its boundary. The ward's boundary is defined by the placement of a rope of up to 50' in length, which the caster must lay upon the ground before casting the spell. As the spell is cast an invisible ward springs up vertically from the rope, making a wall 20' high. The ward prevents spells, breath weapons, heat, electricity, physical attacks and creatures from passing either way. It is affected normally by dispel magic or disintegrate. Once placed, the rope ward cannot be moved by any means short of a limited wish by any being except the caster. The caster can move the rope freely during the spell's duration, altering the shape of the ward. If the rope leaves the ground the ward vanishes, but will reappear if the rope is replaced. This spell causes a single rope, web or cord of any type which the caster touches to break. Even monumentally thick or powerfully enchanted ropes can be severed. In the astral plane sever can be used to cut the silver cord of an astral traveller, though in this case the victim is allowed a saving throw versus spells to resist. With this spell a single length of rope, up to 10' per caster level, is magically strengthened, giving it the ability to support great weights. The weight that can be supported by the affected rope is multiplied by ten - thus an enchanted hemp rope can support the weight of thirty human beings, and a silk rope up to fifty. The enchantment does not however increse the rope's ability to resist cutting.